Olaus Magnus (1490-1557): Carta Marina, Venice 1539. 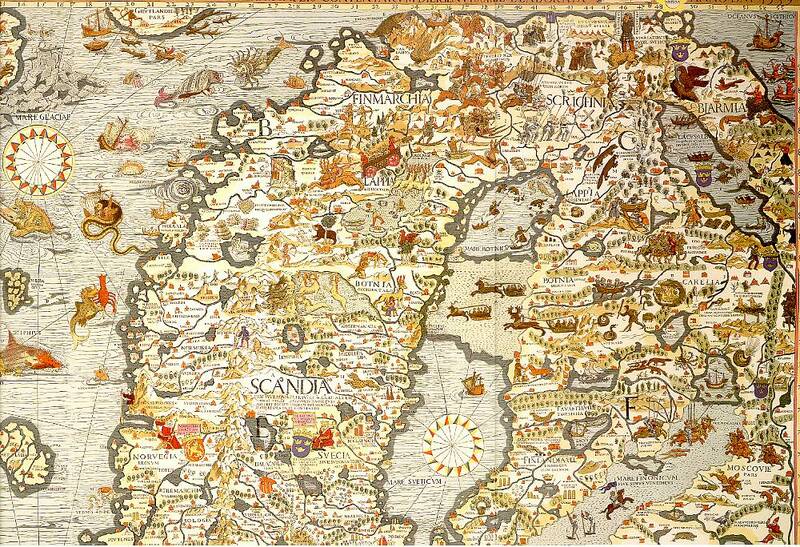 The first printed map of the Nordic countries. Originally printed on nine map layouts. Exists in only one copy at the Staatsbibliothek, Munich. The map rendered is a section obtained from a facsimile edition.